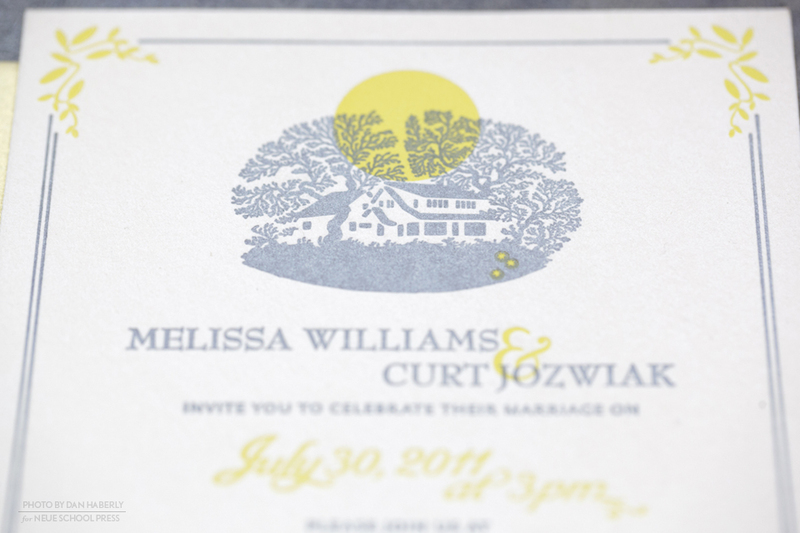 The cartouche, a vintage style illustration of the family homestead (where the wedding was to take place) is the main design element in this invitation. 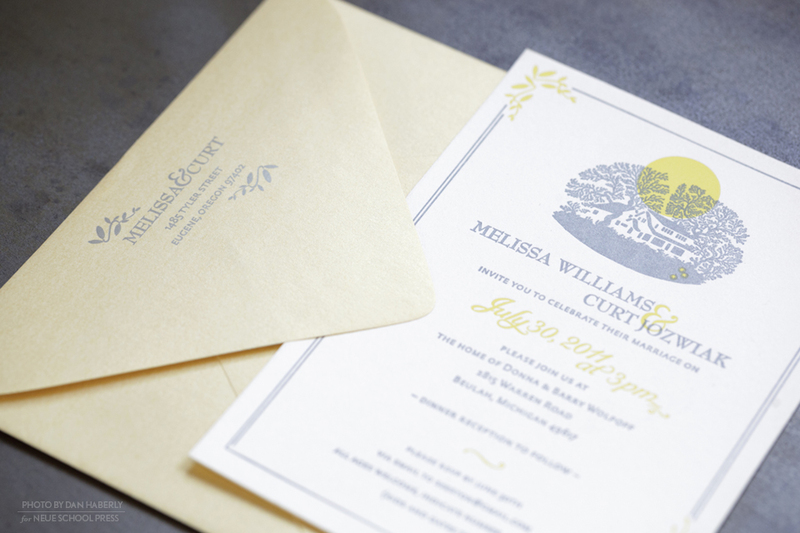 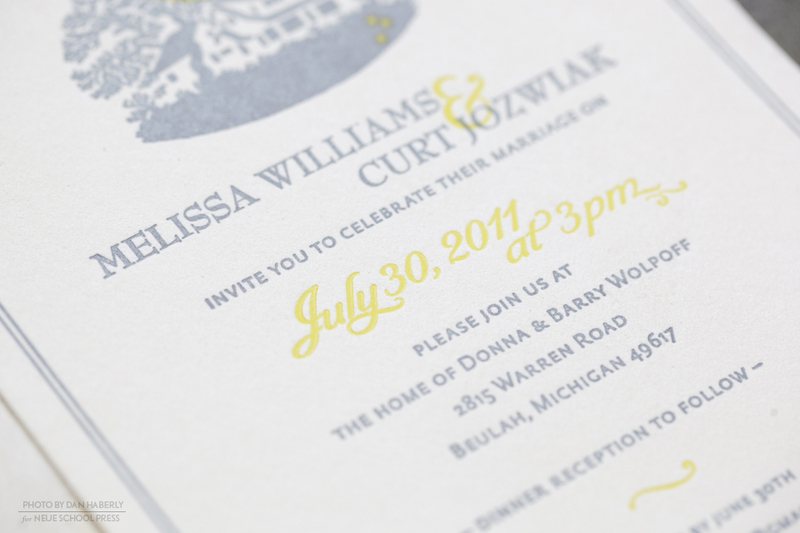 The soft, ivory cotton card was letterpress printed in silver and yellow. 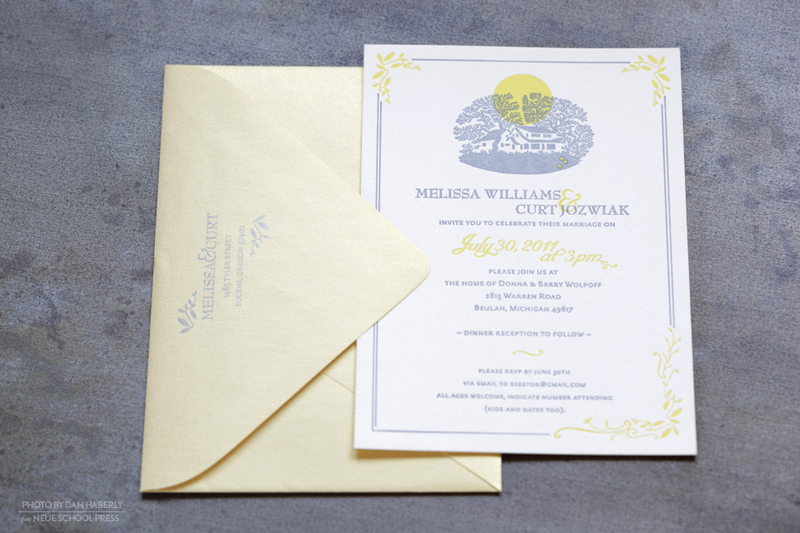 The palette was picked up from the handmade paper embedded with yellow field flowers that lined the envelopes. 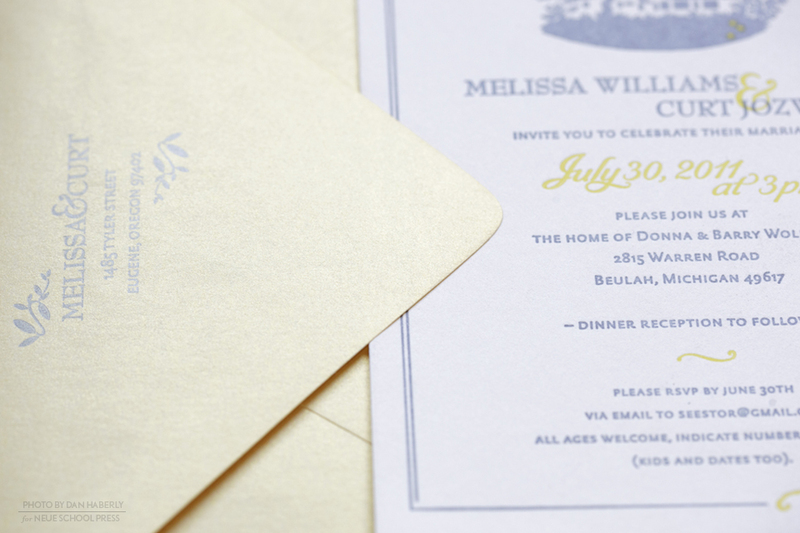 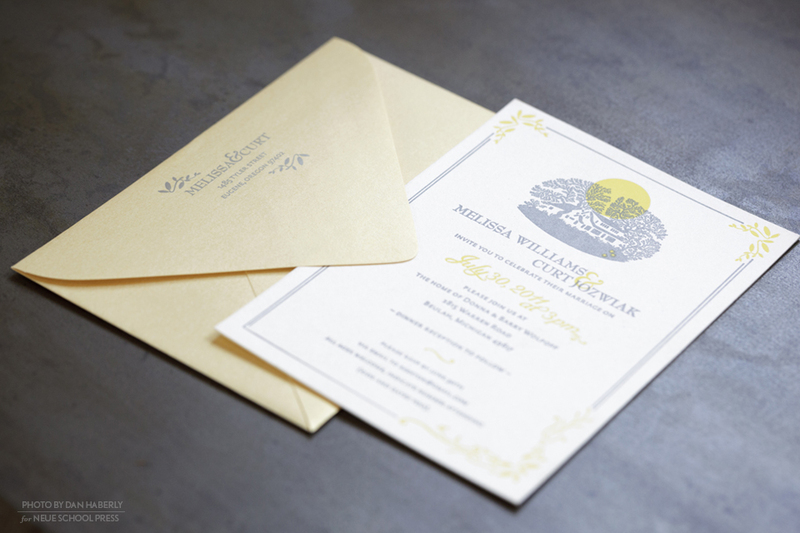 A coordinating yellow gold envelope was letterpress printed with the return address in silver on the flap.